The status of "living entity" was given to two glaciers as well as swathes of the Himalayan environment, including waterfalls, meadows, lakes and forests. 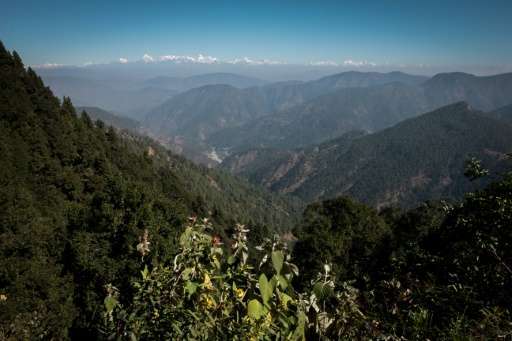 An Indian court has recognised Himalayan glaciers, lakes and forests as "legal persons" in an effort to curb environmental destruction, weeks after it granted similar status to the country's two most sacred rivers. Gangotri, which feeds the river Ganga and is one of the largest glaciers in the Himalayas, is also "receding fast", the court said. "In over 25 years, it has retreated more than 850 meters (2,800 feet)," a two-judge bench of justices Rajeev Sharma and Alok Singh said. The rivers which criss-cross most of the country before flowing into the sea have witnessed massive pollution near human habitations mainly due to dumping of untreated sewage and industrial waste. The court argued the unusual step was necessary because the hallowed rivers upon which Hindu rites are conducted were "losing their very existence". New Zealand earlier last month recognised its third-largest river, ancestral and spiritual waters for its Maori people, as a living entity. Successive governments in India have attempted with limited success to clean up the Ganges, which snakes 2,500 kilometres (1,553-mile) across northern India from the Himalayas to the Bay of Bengal. This is a quite fascinating legal manouever. It will be interesting to see how it plays out both locally and globally, and the repercussions that are generated in its wake. Cool! I really dig the idea. It's groovy. It's also a really smart move to provide some legal protection to an chunk of land, by making it the equivalent to a person. In the USA, corporations have that benefit, shouldn't some of our more sensitive areas get the same treatment? A good idea but from the treatment many people receive from their fellow citizens, I don't hold out much hope for a glacier! The rights of which caste of persons? If a corporation as the same rights as an individual, a bloody rainforest should have the rights of a nation! More rights to the unspeaking majority of the planet, the silent biomes that sustain the genetic legacy of this planet. There is no alternative to earth, a Martian colony or moon base would be as sterile as a corporate atrium or foyer; space has a million ways to kill you and doesn't care if you die. Value this little spaceship with it's diverse and spectacular place in the galaxy, it is rare and precious beyond all reckoning.